Lincolnshire Police demonstrated the range of new kit it now has at its disposal today (Wednesday) as it relaunched its Operation Galileo campaign to tackle rural crime. In a demonstration staged at Metheringham airfield, the force unleashed its high-tech arsenal of new equipment to track and capture escaping ‘illegal hare coursers’ played by two officers. With the traditional coursing season set to begin this autumn, the event served as a warning to would-be criminals and reassurance to residents and landowners in isolated rural areas that Lincolnshire Police was investing in the new Rural Crime Strategy developed by its new Chief Constable Bill Skelly, in conjunction with funding for resources secured by Police and Crime Commissioner Marc Jones. This involved use of drones with heat-seeking cameras to guide police to the criminals and all-terrain buggies to enable officers to swiftly track suspects across ploughed fields. Drone project manager Sgt Ed Delderfield said the Chief Constable had just agreed to fund a third drone to be based at Boston and train five more drone pilots to tackle hare coursing in the south of the county. Chief Constable Bill Skelly said poaching and hare coursing was one aspect of his new strategy as he had heard of the huge impact it has had on the lives of people in rural areas, with intimidation of farmers leading to families considering leaving the way of life for good. But he added it also looked at high value theft of machinery and plant equipment, anti-social behaviour, dangerous driving, wildlife crime and damage to heritage sites such as church lead theft. 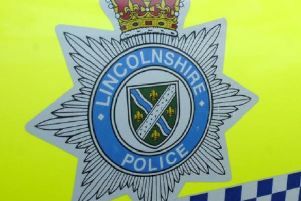 That way, he said they would deter such criminals from Lincolnshire while showing victims they have received justice. NFU branch secretary Alister Green said his members would be reassured by the recent arrests of hare coursers and poachers but said it was ”early days” after receiving such an onslaught of rural crime over the past year. Also he feared these criminals racing through rural communities risked causing serious or fatal accidents. Mr Green insisted rural communities needed to keep supporting each other and be swift to report incidents.